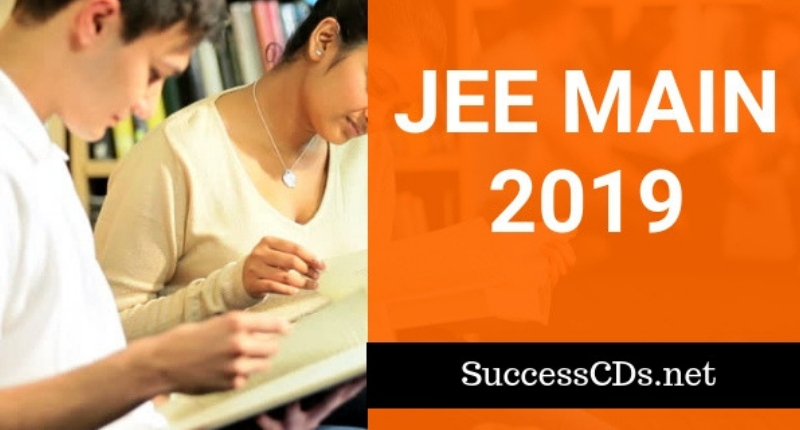 JEE Main 2019 Exam Dates, Admit Card, Syllabus, Pattern & More!!! NTA JEE Main 2019 - National Test Agency (NTA) has released the notification for JEE Main Exam 2019. As per the notification, JEE Main 2019 exam will be organized by NTA (National Testing Agency). It is a national level entrance test. It is organized to offer admission in BE/B.Tech and B.Arch/B.Plan Courses. The National Testing Agency (NTA) will be conducting the Joint Entrance Examination Main (JEE Main) 2019 twice in a year according to the latest announcement by the MHRD Minister Prakash Javadekar. JEE Main 2019 will be a Computer Based Test to be held from 06th January to 20th January 2019 and again from 07th to 21st April 2019 for Undergraduate Engineering admissions into NITs, IIITs and GFTIs. Presently, the dates displayed below are the tentative JEE Main 2019 Dates. There has been no official notification for JEE Main 2019 Dates. The tentative important dates of JEE Main 2019 have is given below. Candidates can check the important dates to know when the important events related to JEE Main might commence and end. The candidates should satisfy themselves about the eligibility of age limit requirements of the Institutes in which he/she is desirous of taking admission. Only those candidates who have passed their Class 12th Exam or any equivalent qualifying examination in 2017 or 2018; or those who are appearing in their Class 12th Exam or any equivalent qualifying exam in 2019 are eligible to appear in both January 2019 and April 2019 JEE(Main)-2019 Exam. Candidates must have taken at least five subjects in class 12th/qualifying exam in order to be eligible for writing JEE (Main)-2019. The candidates who have taken four subjects are not permitted to write JEE (Main)-2019 and if such candidates appear in JEE (Main)-2019 by furnishing wrong information, their rank/result will not be declared. The examination will be organized in online (computer based) mode. Type of Questions (Paper 2): Mathematics and aptitude section will be of objective type questions and drawing test will be subjective. The total exam duration will be three hours. The question paper will be asked in English and Hindi language for all exam cities and English, Hindi and Gujarati languages for exam cities in Gujarat, Daman & Diu and Dadra & Nagar Haveli. Four marks will be provided for each correct answer. One mark will be deducted for every incorrect answer. Candidates have to upload the scanned images of passport size photograph and signature of candidate & mother’s/father’s/guardian. The JEE Main syllabus will contain topics from the 11th and 12th class of CBSE, ICSE and other state boards. Syllabus for paper 1 will contain physics, chemistry and mathematics. Mathematics: Sets, relations and functions, Matrices and determinants, Mathematical induction, Sequences and series, Integral calculus, Binomial theorem and its simple applications, Vector algebra, Statistics and probability, Trigonometry, Complex numbers and quadratic equations, Mathematical reasoning, Permutations and combinations, etc. Physics: Physics and measurement, Thermodynamics, Rotational motion, Laws of motion, Electronic devices, Oscillations and waves, Current electricity, Electromagnetic induction and alternating currents, Optics, Electrostatics, Kinematics, Work, energy and power, Gravitation, Properties of solids and liquids, Kinetic theory of gases, etc. Chemistry: Physical Chemistry: Some basic concepts in chemistry, Atomic structure, Chemical thermodynamics, Equilibrium, Chemical kinetics, States of matter, Chemical bonding and molecular structure, etc. Organic Chemistry: Purification and characterization of organic compounds, Chemistry in everyday life, Organic compounds containing halogens, Organic compounds containing nitrogen, some basic principles of organic chemistry, etc. Part I: Awareness of persons, places, Buildings, Materials, Visualizing three dimensional objects from two dimensional drawings, Visualizing, Analytical Reasoning Mental Ability (Visual, Numerical and Verbal), etc. Part II: Understanding and appreciation of scale and proportion of objects, building forms and elements, colour texture, harmony and contrast, Transformation of forms both 2 D and 3 D union, subtraction, rotation, creating two dimensional and three-dimensional compositions using given shapes and forms, etc. The Admit Card is issued provisionally to the candidate subject to his/her satisfying the eligibility conditions. The candidate has to download his/her Admit Card from the NTA‟s website w.e.f. 17th December 2018 onwards and appear for the exam at the given Centre on Date and Shift as indicated in their Admit Card. After the releasing of result, the board will announce the detailed schedule of JEE Main 2019 counseling. Separate schedules will be announced for All India Rank and state level counseling. Counseling process will be organized from the third week of June 2019. To appear in the counseling, candidates will have to register themselves. After that candidates have to fill their preferences of colleges and courses. On the basis of filled choices, rank, category and seats availability, a provisional seat allotment will be announced.